Saturday night was soup and pie night at our house. My dad, stepmom, and father-in-law came over for dinner and a little World Series watching. I can’t wait to repeat this meal next month with my hubby’s brother and his family. It’s definitely a meal worth sharing. 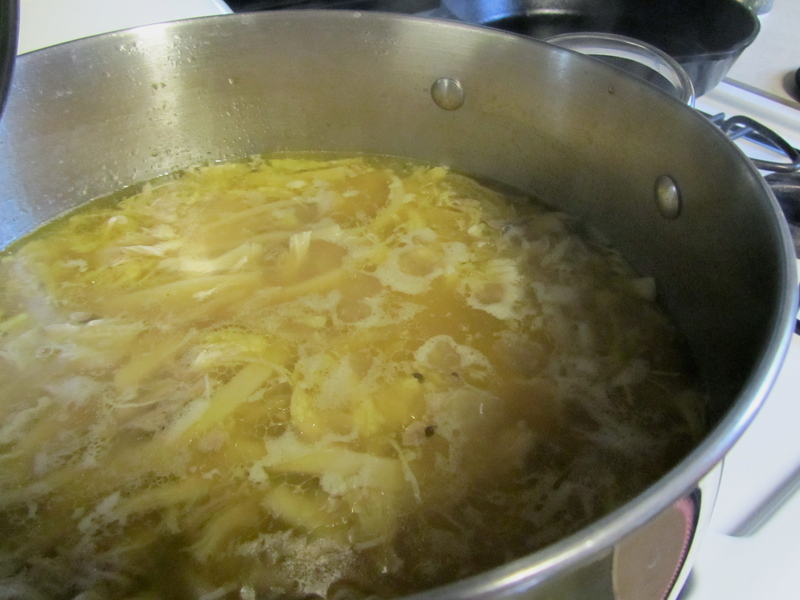 I had been looking forward to making this soup for a while. It’s one my mom’s family makes every Thanksgiving. I can’t remember a Thanksgiving in Missouri without chicken and noodles. I don’t know who started making it, but it was my favorite dish at Thanksgiving when I was a kid. I don’t have the recipe, so I made my own version and it turned out excellent. 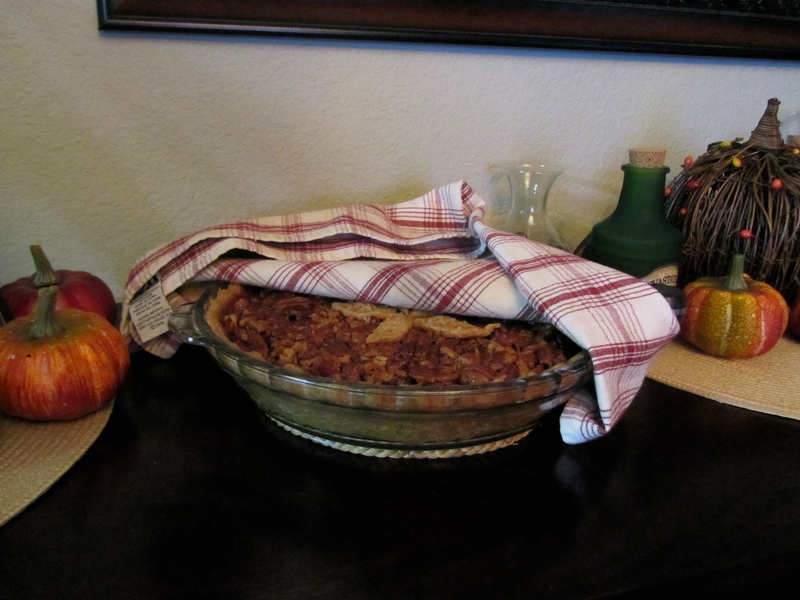 Followed by the best pecan pie, and my hankering for my Thanksgiving favorites was satisfied. For now, anyway. The soup is really easy, and perfect to make on a lazy Sunday afternoon when you have time to let the chicken simmer for a long time. It makes your house smell amazing. Paired with a pecan pie baking in the oven, and you’ll be in aromatic heaven. 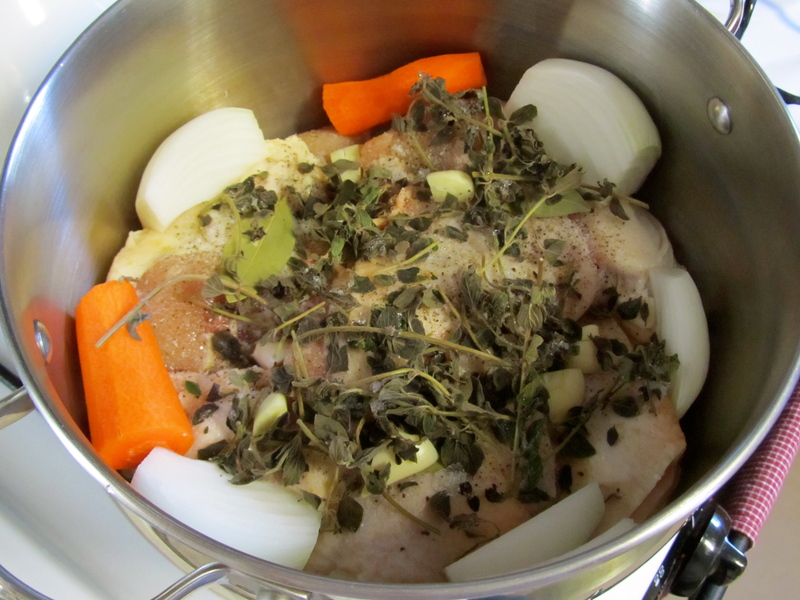 Serve immediately, or continue to simmer covered until ready to serve. This soup is SOOO good. 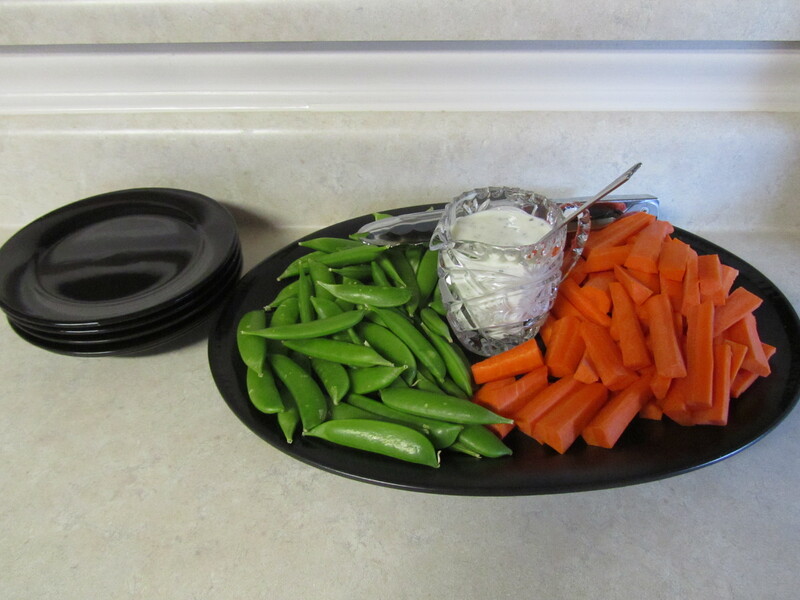 We served it with fresh sugar snap peas and carrot sticks on the side with buttermilk ranch for dipping, rosemary bread, and Hawaiian sweet rolls. I went for seconds of the soup and found an empty pot in the sink! 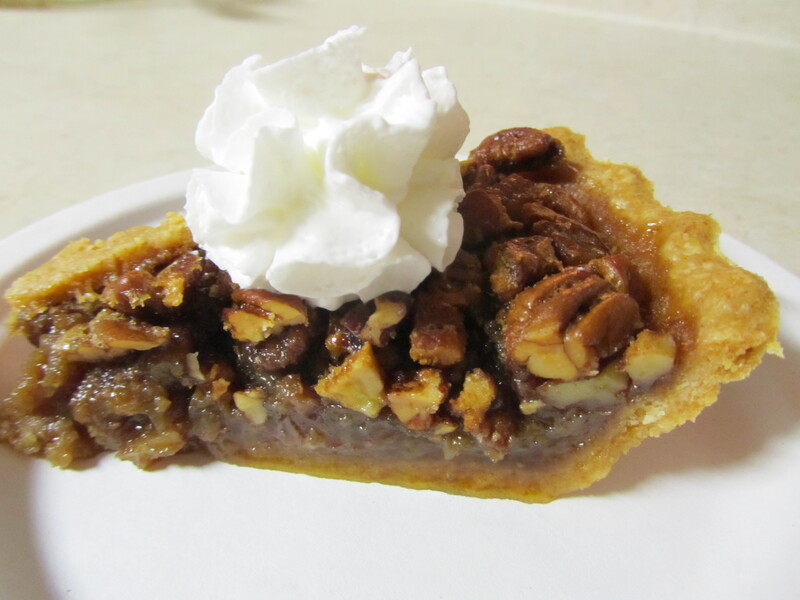 FOR THE PECAN PIE, I used this recipe by Eddy Van Damme that doesn’t use any corn syrup. And it is the best pecan pie recipe. Optional is adding brandy or rum. I don’t keep much alcohol in the house, so add 1/4 teaspoon rum extract instead. It adds the perfect depth of flavor to enhance the pecans. I ran out of brown sugar, so used 1/2 cup brown sugar, and 1 1/4 cups regular sugar with 2 Tablespoons molasses, which turned the custard portion a luscious, deep, dark brown. Baked in a fresh whole wheat pastry crust, and it was absolutely divine. If desired, roll out excess pastry remnants and free-hand cut 5 leaves and set on a plate, cover with wrap, and refrigerate to place in the center of the pie before baking. I use a toothpick to carve the veins of the leaves. Does your family have a special Thanksgiving dish? School is back in session! My stepdaughters started back to school today. And what a whirlwind of a day! What I want to share is my favorite dinner for back-to-school. It’s a go-to favorite of mine from when I was commuting long distance to work and seemingly always away from home. I’d make this in the slow cooker on a Sunday and have dinner for the next few week nights. 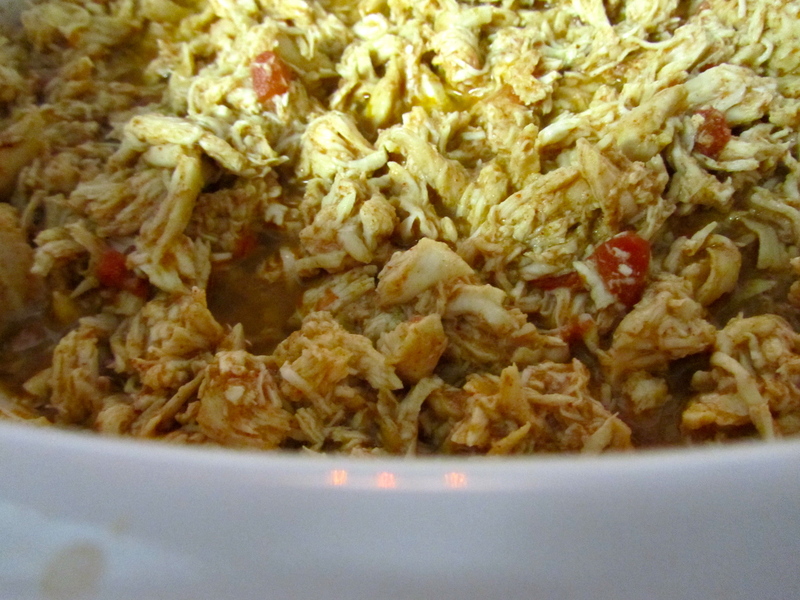 When storing the leftovers in the refrigerator or the freezer, include the remaining liquid from the slow cooker. It helps keep the chicken moist and delicious. When freezing, divide into the appropriate size for your family. Since we don’t have the kids during the week, I often freeze some to serve 2 (Hubby and me) and some to feed 4 (when the girls are with us). Place in the refrigerator the night before a day when you know you need a quick meal. It will thaw in the refrigerator and be ready to reheat in the microwave when you get home. If you freeze the servings in oven-proof containers (such as foil containers), you can pop it straight from the freezer to the oven to reheat. I use plastic containers, so I don’t use this method, but it would work well. Keep the container covered and the liquid that was packed with the chicken will keep the chicken moist while reheating in the oven. I would suggest 350 degrees. 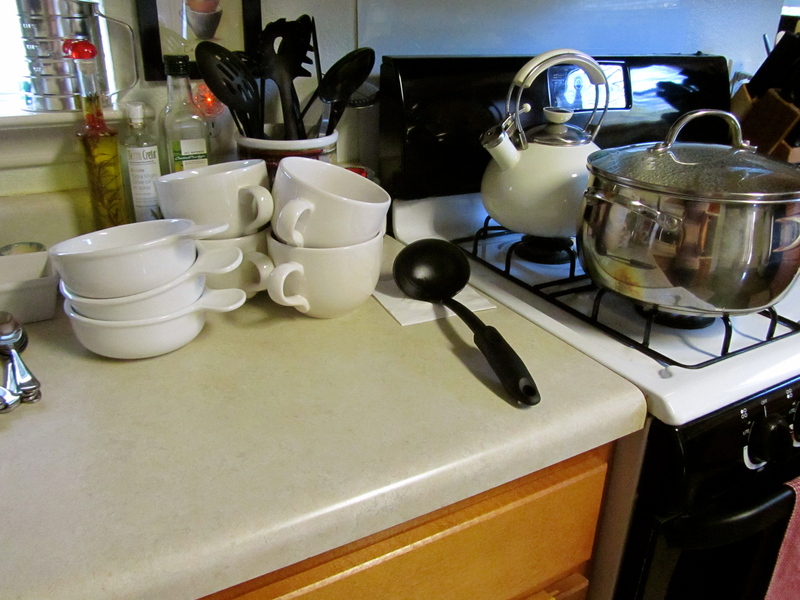 The time will depend on the amount you’re reheating. I would allow for 30-45 minutes. TORTILLAS can be stored in the freezer as well! I buy both corn and flour tortillas in bulk, then divide into freezer bags. Because of the size of my family and our usual serving size per meal, I divide the tortillas into groups of 10, leaving us a few extra per package for a quick breakfast taco or quesadilla for lunch. Tortillas thaw quickly either in the refrigerator, on the counter, or in the microwave. If using the microwave, be sure to only thaw for the least amount of time possible and not until they’re hot. Pull them out and wrap in a damp paper towel and then microwave to complete heating them. 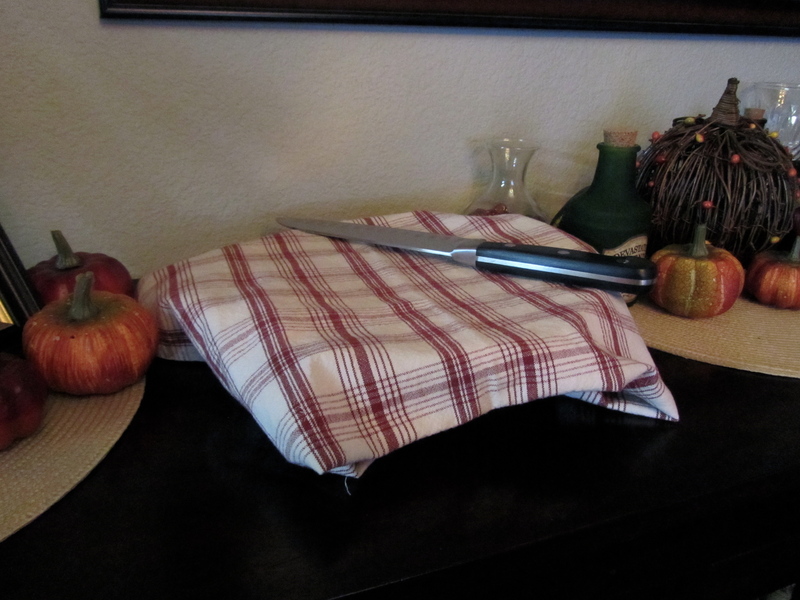 The damp towel helps keep them moist instead of dry and chewy. I have a gas stove, so I just turn a burner on medium-low and plop each tortilla on top of the burner for a few seconds, then turn to warm the other side for a few seconds, and serve. CHEESE can be stored in the freezer too! I buy 8-cup packages of shredded cheddar, Mozzarella, and Monterrey Jack cheeses. I divide them by 1-cup per freezer bag, then freeze. Whenever I need 1 or 2 cups for a recipe, I just pull out what I need from the freezer. For casseroles, the cheese can be added straight from the freezer before baking. For something like tacos, it can be pulled out only 15 or 20 minutes early and it’ll be thawed enough to sprinkle on top of a hot taco. 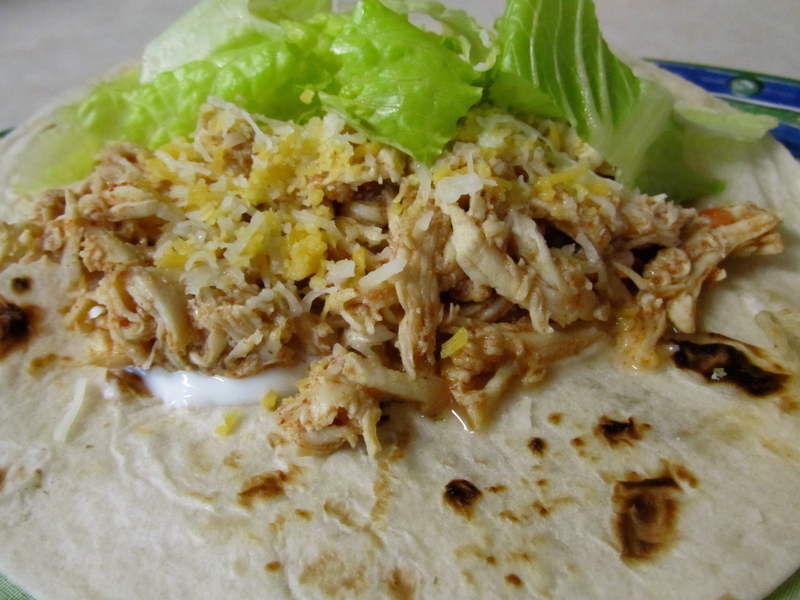 To make this into enchiladas, roll the chicken with a bit of cheese into tortillas, top with your favorite enchilada sauce and cheese, and bake at 350 degrees for 30 minutes, or until bubbly. You can assemble the enchiladas in freezer-safe and oven-safe containers, pour sauce over them, then freeze for a meal to bake at a later date. I always make double the amount of enchiladas so I can make one batch that night and freeze the second for a later meal when I’m too busy to be bothered with dinner prep. 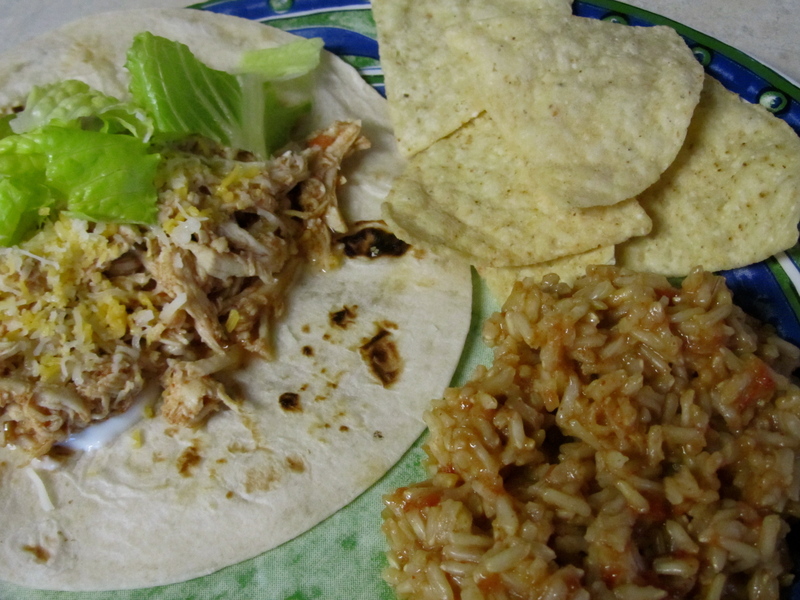 If we have small amounts of leftover shredded chicken, it usually gets cooked into hot, cheesy quesadillas, or thrown on top of some crumbled tortilla chips and topped with a mound of lettuce for a taco salad. My stepdaughters’ first day of school was awesome, as I hope all kids’ first days went. Here’s to another busy school year, full of nights too busy to cook, where a homemade meal straight from the freezer fills bellies and warms hearts and souls.